Members of fpe are spread around the UK. 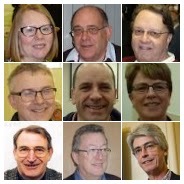 We are involved in a wide range of ministries, lay and ordained, parish-based and itinerant, diocesan posts, para-church organisations and ‘fresh expressions’. People are fpe’s greatest resource. Membership facilitates opportunities to be involved in evangelism beyond our normal context. 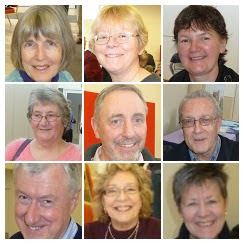 It is also a place for those who are new to evangelism to benefit from the wider experience of others. Membership offers fellowship through regular prayer diaries, and requests for urgent prayer when appropriate. Members also receive discounts for Conference and access to conference materials through private links. If you think you would like to be a member of fpe, there is a form you can complete. The annual fee is £30 for the year for a single working person with concessions for unemployment, retirement and couples. More details about these from Lynne, our administrator, at lynne@fpe-network.org. (You can join at any time but our 'year' runs from June) and we encourage payment by standing order. If you do not have a contact with a current fpe member, please tell us who your vicar is so that we can check with him or her. We would also like you tell us about your ministry.